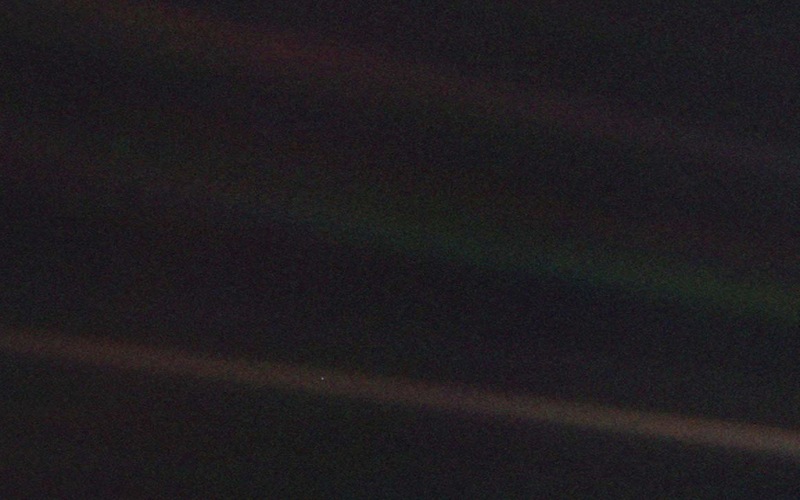 Taken 6 billion kilometers away from the human being that “pressed the shutter-release button,” this picture is at once the longest distance self-portrait and greatest group photograph ever shot. 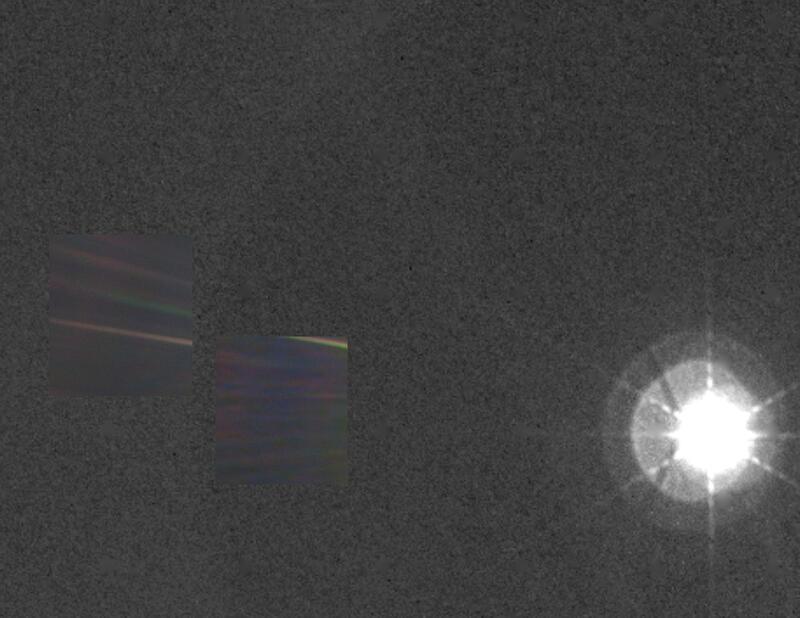 The probe that took the picture on 14 February 1990, Voyager 1, also shot a wide-angle photo of the Sun (right) which NASA composed with narrow-angle photos of the Earth (left) and Venus (centre). Below is another composite, yet wider, picture, known as Family Portrait or Portrait of the Planets, composed with the same mosaic technique. Launched in 1977, Voyager 1 is the farthest man-made object from Earth, believed to be at the borders of the Solar System, if not already out of it.